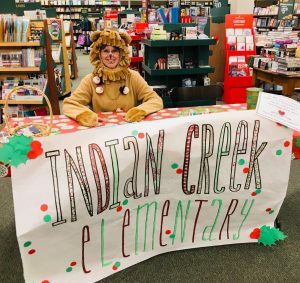 Indian Creek/Barnes & Noble Book Fair is a Success! Indian Creek Principal Kelly Kretschmar and Roary the lion were among the special guests at the Indian Creek Book Fair hosted by Barnes and Noble Booksellers. 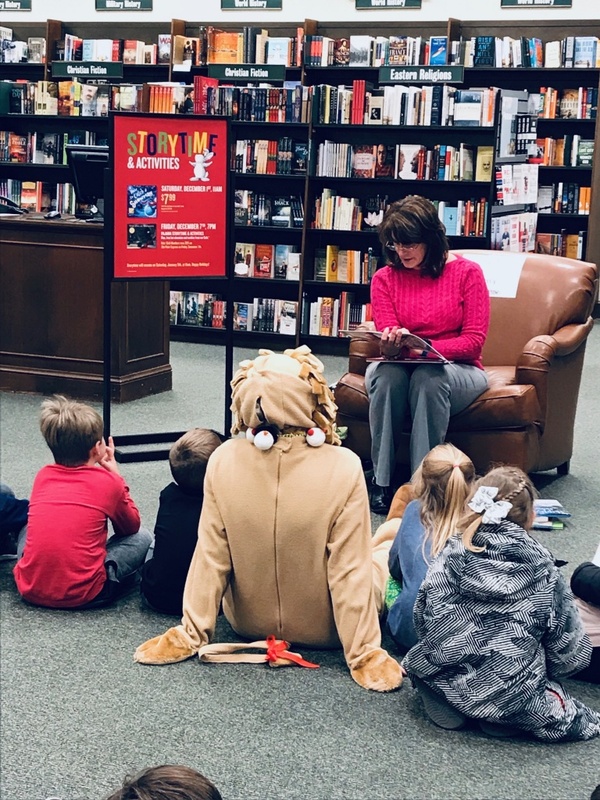 The store works with schools and other non-profit organizations to provide a percentage of the net proceeds from the book fair sales to the school. Indian Creek Teacher-Librarian Krista Krebsbach was pleased with the turnout. She wishes to thank all the Indian Creek families who came out to support the Book Fair and Art Show, with special thanks to guest reader, Mrs. Kretschmar.